Ben Graham is the gold standard for fundamental research and investing, but his beginnings on Wall Street were more typical of a story with which many of us are familiar. Graham was a convertible bond arbitrageur, making a fabulous living in the 1920s, only to see his, “market neutral” strategy wiped out in the 1929 crash, along with his personal fortune. What emerged from this wreckage was his idea of, “margin of safety”. The Intelligent Investor is the most easily accessible format to explore this idea. The idea is that when buying a stock, the investor should be completely certain that the stock is basically below its liquidation value, and therefore other investors (or buyout firms, etc.) will eventually twig onto this idea as well. The latest editions have several updates, including entries from Warren Buffet. This is a very readable version of a book that drills home the idea that, “bad things can happen”. Where does skill end and luck begin? This question is posed by a man who made most of his money in a 10 minute period on a single day, when he was an options trader at Credit Suisse, and happened to have a large position on when the market went his way. Luck or skill? Taleb then goes on to explain how many outcomes in financial markets and elsewhere that we believe to be the result of our own efforts and, “research and hard work” are actually the result of the coin coming up heads a few times in a row. Taleb's own personal experience – his family forced to flee war torn Lebanon, and losing everything in the aftermath, is a clear demonstration that perhaps most of life is in fact dominated by random events, and it is merely our intense desire to find control in this madness that leads us to believe we are the result of certain outcomes. The ideas behind this book are extremely compelling – use a few simple rules to look at the financials of a universe of stocks, then apply price ratios to determine those which are cheapest, buy them, hold, repeat every year or so, make 30% per year on average. Its not quite that simple, there is volatility – some stocks can and will lose 50% before rebounding. Not every year will be a winner. This strategy has long fallow periods. So why does it work, even now in the age if immediate information? According to Greenblatt, it works because it doesn't work for long periods, as long as 3 years. Most investors – professional and individual – do not have the patience or fortitude to stick with a proven strategy through difficult periods, preferring instead to believe every investor's worst nightmare, “I got in right when this methodology failed”. There are many “Systems Books” out there, either those that are indirect pitches for a website and software package, or those detailing the epic fortunes that you the reader did not make. This book is neither of those. Weissman explores three basic systems trading strategies – day trading, swing, and trend following. What makes Weissman's approach unique and interesting is that he suggests the reader explore his/her own psychology to determine which approach will work best. Do you want to sleep well every night, or does the thought of being chained to your market screens every day make you groan? Depending on your answer, you will know towards which strategy you should migrate. I have never found another book that addresses the practical psychological issues of implementing an investment strategy as clearly as this book does. This is a great book for considering long sweeps of time and the effects of monetary conditions on particular populations. 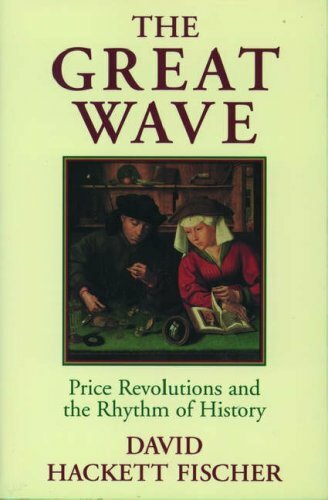 Fischer opens the book at a time of particular prosperity and price stability (Imagine all those happy people at a University Renaissance fair) in Europe, which was at the cusp of a long 150yr economic maelstrom. The absence of specie used to the primary cause of economic uncertainty, and Fischer outlines this in great detail. He then grafts this onto the world's current state of affairs, and claimed in 1999 that we were at the beginning of a long period of financial instability and chaos. Prescient words. This is an eminently readable text, covering an aspect of the history of money not often detailed in other more popular texts. Commonly referred to by floor traders in options pits as, “The Book”, Natenberg's text is the bible for all nascent derivatives traders. There are no assumptions of any high level mathematics, and no assumptions of any but the most basic stock market knowledge. Natenberg takes you the farthest in the least amount of time, compared to other options texts. Unlike other texts, which assume you hold a position to expiration, Natenberg details how the position changes over time based on changes in underlying price, volatility, interest rates etc. In addition, he explains the when/where/how one might want to exit a position early, or trade out of a position with 2 options into a position with one. Written during the peak of floor trading (which has since been mostly eliminated by computers) Natenberg has updated the text several times to remain current with the prevailing technological marketplace. We read about “Quants” on Wall Street all the time now, and this history describes the true origins of the quant practice, and how counting cards and programming computers to trade grain futures are inextricably linked. 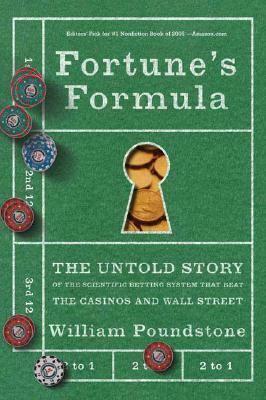 Starting with the origins of Kelly Criteria Betting Systems, Poundstone gets to a Statistics professor at UC Irvine, who had previously written a book called, “Beat the Dealer”. Ed Thorpe perfected card counting, making so much money he was banned from every casino in Las Vegas by the time he was done. Thorpe next turned his attention to the listed warrant market in the US, creating a model that ended up being almost identical to the Black Scholes options pricing model. Aggrieved at having missed a chance at academic fame, Thorpe decided to start a hedge fund that would employ his quantitative models and methods. He ended up being enormously successful, and spawned a whole new segment of the alternative investment world. As always, Poundstone is a wonderful writer, and he takes otherwise dry subject matter and makes it fascinating. I choose this book for it particular relevance, but I can easily recommend any book written by WP. This is a well written, but slightly long-winded book. The points Fisher makes, are very valuable, however. (1) What do you believe that is actually false? (2) How can I fathom what others find unfathomable? (3) What the heck is my brain doing to blindside me now? Your #1 enemy in investing is yourself. We are programmed to, “go with the flow”, and if you do, you will end up disappointed like the vast majority of other investors. Fisher also outlines a number of other methods he uses when managing portfolios. One of them is knowing when the party is over and selling. This is actually more difficult than it sounds, especially if the stock was as $100, and is now $85. It takes a long time for investors to realize that their, “favorite” is not going up any longer. So as Fisher explains, the disciplined investor actually has plenty of time to exit. 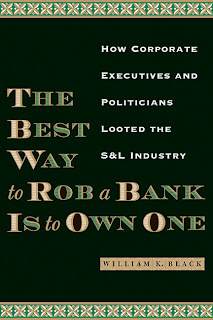 Bill Black was an S&L regulator in the 1980s, working to try to prevent the ongoing looting of the industry by insiders. While this is a tale from 25 years ago, it is extremely relevant because the methods employed by the criminals then are the same as those used in more recent blow ups. 1. Create fictitious markets in opaque illiquid assets. Borrow against these. 2. Curry favor with politicians to add credibility to your business. 3. Actively use political connections to interfere with the regulatory enforcement process, and place, “friends of the industry” in positions of enforcement. These are the basic elements of what Black describes as, “Control Fraud”. Applied to current and past fraud blow ups, Black assessment is discouragingly consistent.